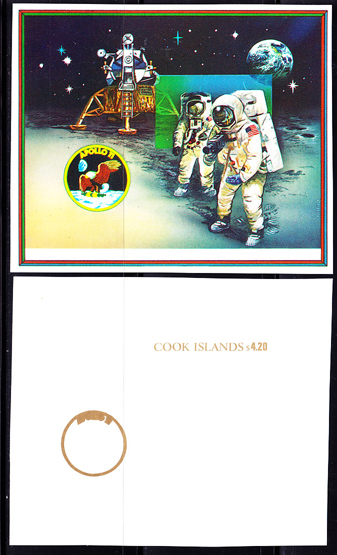 5301 ESS COOK ISLANDS (1989) Astronaut descending from capsule*. Walking on moon*. Set of 8 progressive proof se-tenant pairs. Scott No 1008, Yvert Nos 988-9. 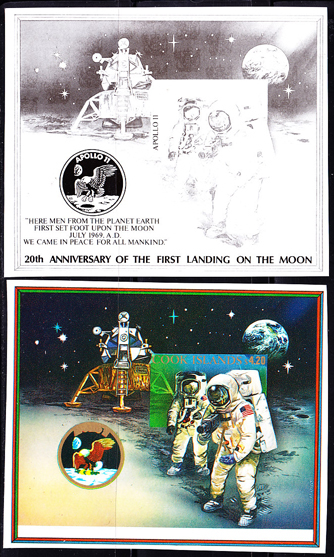 Apollo XI Moon landing. 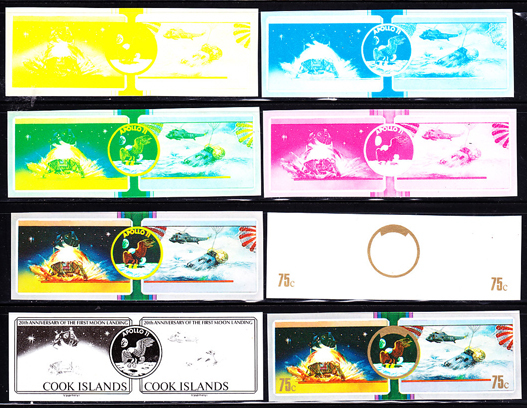 5302 ESS COOK ISLANDS (1989) Seismic experiment*. Solar wind experiment*. Set of 8 progressive proof se-tenant pairs. Scott No 1009, Yvert Nos 990-1. 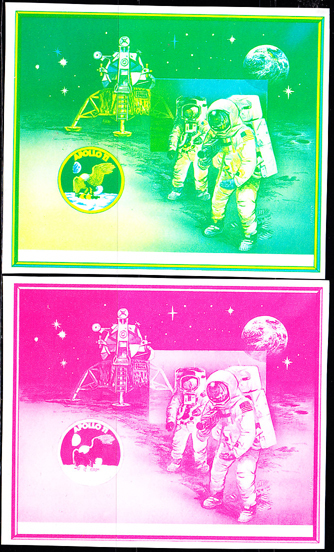 Apollo XI Moon landing. 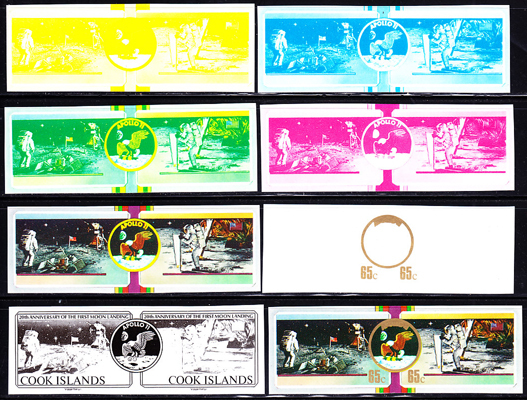 5303 ESS COOK ISLANDS (1989) Liftoff from moon*. Splashdown and recovery*. Set of 8 progressive proof se-tenant pairs. Scott No 1010, Yvert Nos 992-3. 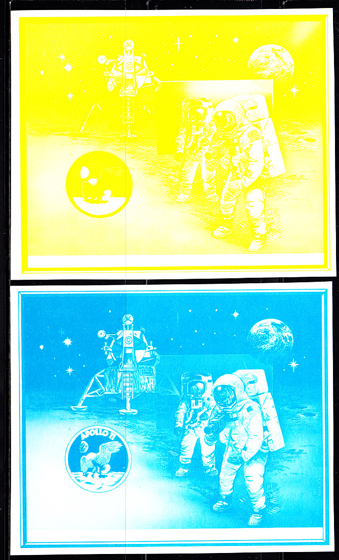 Apollo XI Moon landing. 5794 ESS COOK ISLANDS (1989) Cook Island flycatcher*. 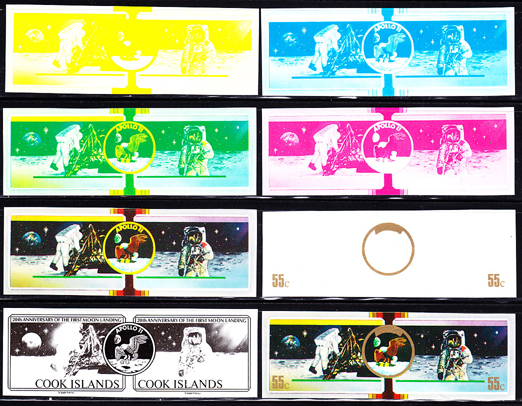 Set of 7 progressive proofs. Scott No 1016, Yvert No 994. Endangered bird species.